Add an SMS functionality to your online storefront to send and receive automated alerts. Customize booking and payment confirmations. Monitor the latest activities on your website. To add the SMS functionality on your business website, you only need to subscribe and fill in a short piece of code to enable it. Once you create an account with us, we will provide you with your API key which authorizes you to send messages through our servers. Get notified when someone contacts you through your business website or makes a booking and react in seconds! Send confirmations, event reminders, promo offers and custom-made notifications to your customers' mobile phones! Keep track of all incoming and outgoing online transactions and make your customers feel safe about their money! As soon as a client makes a reservation or places an order online, you will get an SMS with their Booking ID, time and other details. Each time a client uses your contact form to request more information about your services you will be notified via SMS. 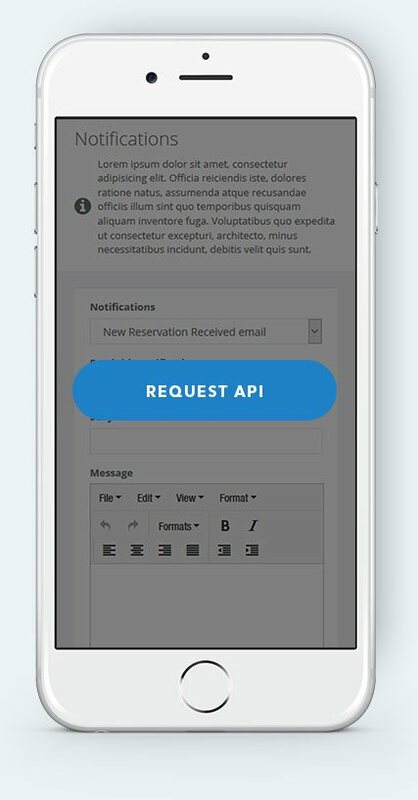 We can integrate the SMS notification feature into all web forms on your business website: contact form, booking form, shopping cart, etc. Inform your clients as soon as you send them invoices for the services booked online. Configure the options from the admin system. Send and receive reminders about forthcoming events, appointments, expiring promos, important deadlines, etc. You can modify the SMS texts on your own as per your business needs. For further customizations and questions, just contact us! Depending on your client base and expected monthly bookings rate, you can choose between 4 monthly SMS plans. The prices are based on the number of messages being sent each month.